There are many ways to dispose of hazardous waste in Ada County for residents. Whether residents use the Household Hazardous Waste Facility or the mobile collection sites all hazardous waste that is recycled in Ada County is processed through the Household Hazardous Waste Facility. What started as an annual, one weekend a year event has turned into a collective effort in Ada County to responsibly recycle their hazardous waste. Proper management and disposal mean NOT throwing hazardous waste in the trash and ultimately in the landfill. What Makes a Product Hazardous? Flammable/Combustible: Easily ignites and burns. Explosive/Reactive: Reacts with air or water to produce toxic vapors or an explosion. Corrosive: Burns skin on contact and can “eat” away from the surface of other materials. Toxic: Toxic, even in small quantities, may immediately poison or cause injury or death through repeated exposure when inhaled into the lungs, swallowed, or absorbed by the skin. Labels on hazardous products are required by federal law to list “signal words”. Signal words can be used to determine a product’s specific hazard(s). Signal words, such as DANGER and POISON, indicate that the product is highly toxic, corrosive or extremely flammable. WARNING or CAUTION signal words indicate that the product is moderately or slightly toxic. Open Fridays and Saturdays 8 a.m. to 6 p.m. Questions? (208) 577-4736, Monday – Friday from 8 a.m. to 5 p.m. Cost: There is no charge for household hazardous waste. Businesses can call for quotes and additional Information on disposal fees. The Ada County Household Hazardous Waste Facility, located at Ada County’s landfill, is a state-of-the-art facility which receives household quantities of hazardous material. This disposal and management option for household hazardous waste is free to residents of Ada County. Staff at the Household Hazardous Waste Facility determine if collected materials are a hazardous waste or if materials qualify for the Ada County Material Reuse Program. Qualifying Ada County businesses may also take advantage of the facility. Businesses must pre-qualify as a “Very Small Quantity Generators” (VSQG). Call and register at least one business day in advance of waste delivery. For businesses, there are disposal fees. Please contact the Ada County Household Hazardous Waste Facility for quotes and additional Information. A VSQG must generate less than 220 pounds of hazardous waste or 2.2 pounds of “acutely hazardous waste” per month. Visit the Mobile Collection Sites page to learn about locations and collection site dates. To deliver your household quantities of hazardous material for the collection, look for the mobile collection vehicle at the site nearest you. They will make sure that the material receives proper disposal. Residents of the cities of Boise, Meridian, Kuna, and Eagle have additional options for disposal of household hazardous waste. For the convenience of their residents, these cities have collection sites around town. Read all labels before transporting household hazardous materials. Pay close attention to the “Signal Words“. Do not mix products unless instructed by label directions. Mixing products can cause explosive or poisonous chemical reactions. In 1999, Ada County’s Hazardous Material Collection Program received national recognition by being selected as the “Best New Collection Program at the Local Level” by the North America Hazardous Material Management Association (NAHMMA). 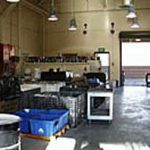 The 5,000 square foot state-of-the-art Household Hazardous Waste Facility provides individuals and qualifying businesses an opportunity for proper hazardous material management. Collection of household hazardous material at a centralized location reduces pollution threats. It also provides an opportunity to inform the public about their environment, hazardous materials, and alternatives to using hazardous products. Ada County’s permanent Household Hazardous Waste Facility provides immediate and long-term benefits to residents of Ada County while protecting the environment for future generations. Household hazardous material collection in Ada County began as a one-day collection event in 1989. Sponsored by Ada County, Boise City, the Central District Health Department, and the Ada County Highway District, the event grew in popularity. By 1996, it grew to a two-day event that served more than 3,500 vehicles representing more than 4,700 households. On May 1, 1998, in response to the growth and popularity of the collection program, the state-of-the-art Ada County Household Hazardous Waste Facility was opened to serve Ada County residents. Collection: Ada County residents bring potential household hazardous waste to this collection facility or to an Ada County mobile collection site. Hazardous or Reuse? Staff will determine if it’s hazardous waste or if it qualifies for the Ada County Material Reuse program. Shop for Free: Ada County citizens shop the reuse materials, taking up to four items free of charge. Products are stocked for reuse if they are in their original container, at least one-half full, and have not been altered or banned. Everybody Wins! By making these products available, the materials are recycled for use rather than processed for disposal. YOU SAVE MONEY because it’s FREE! ADA COUNTY SAVES MONEY by eliminating the cost of processing and disposal. Click the xml button to subscribe to the Calendar Feed. Click to download the iCal version of the calendar. 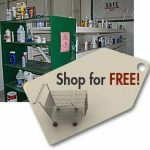 The Ada County Household Hazardous Waste Facility is open Fridays & Saturdays 8 a.m. to 6 p.m.
Saint Alphonsus has partnered with the Ada County and Boise City Household Hazardous Material Collection Program to provide a free digital thermometer in exchange for fever thermometers containing mercury. Saint Alphonsus purchased digital thermometers that Ada County residents can receive in exchange for their old mercury filled fever thermometers. The US EPA has prepared a document to provide information on the proper disposal of items used in administering health care in the home. This document discusses the proper disposal of needles, syringes, lancets, and other sharp objects. How Will I Know if a Product is Hazardous? Hazardous Waste in My Home? People are often unaware of the potential dangers of carelessly storing and disposing of common household products. For example, paint, solvents, pool chemicals, pesticides, used motor oil, car batteries and antifreeze contain ingredients that may be hazardous to the environment or to your family’s health. Buy only as much as you need. Ask retailers about less toxic products. Use it up. Bring your leftover products to the Household Hazardous Waste Facility or to a Household Hazardous Waste Mobile Collection Site. It can be placed in the Material Reuse Program. Flammable or reactive household chemicals can release toxic fumes or explode if they are mixed together in the trash, causing fire or injuring workers. Dumping solvents into septic systems or landfills may contaminate groundwater and surface water, killing fish and wildlife. Pesticides can damage sewage treatment facilities or kill fish. Oil poured into storm drains can flow directly into our rivers and streams. Don’t let these things happen in our community. Be a good neighbor. Is Hazardous Waste a Problem Only for Big Businesses? No. All businesses, non-profit organizations, municipal departments, and some schools that dispose of leftover or spent hazardous wastes are classified as hazardous waste generators. “Conditionally Exempt Small Quantity Generators” (CESQG) may, under specified conditions, qualify to bring their waste to the Ada County Household Hazardous Waste Facility. How Much is a Small Quantity? A CESQG must generate less than 220 pounds of hazardous waste or 2.2 pounds of “acutely hazardous waste” per month. There is a program in Ada County to help you. You may be able to bring small quantities of hazardous waste to the Household Hazardous Waste Facility located at the Ada County Landfill. Our contractors will process and dispose of your materials for a nominal fee! Qualifying businesses wanting to dispose of hazardous waste must call and register at least one business day in advance of waste delivery.